I love government . . . While I don’t admit it often, I am fascinated on how our laws are made and changed. That doesn’t mean I am not frustrated by what happens (or lack thereof) in St. Paul. But, nonetheless, I am intrigued by the inner workings and intricacies of our “of the people, by the people and for the people” government. 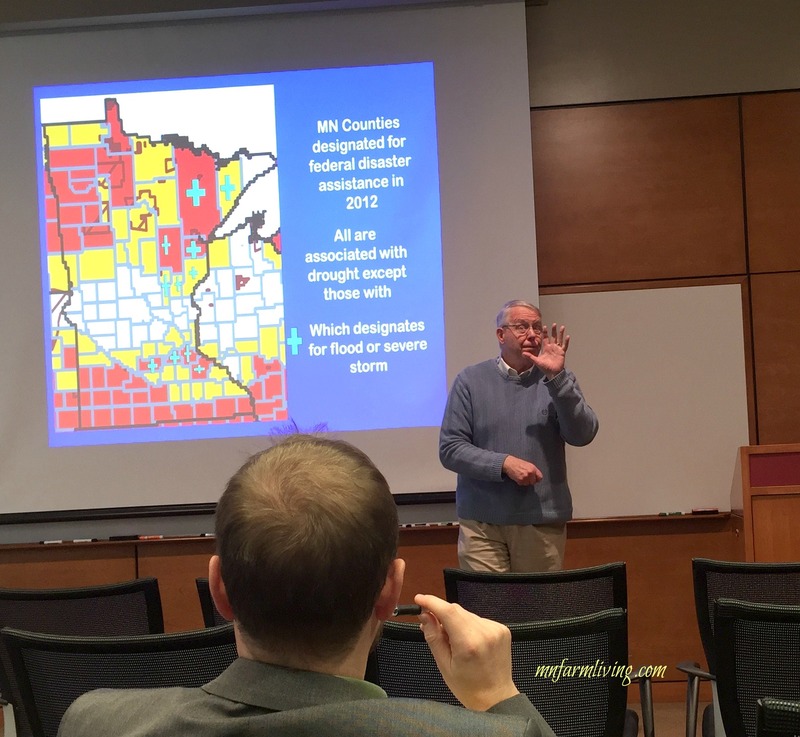 Session III of MARL (Minnesota Ag Rural Leadership) would not disappoint. Our St. Paul session started with the Minnesota Department of Ag. We met with Sue Knott and Al Withers, the individuals responsible for Ag in the Classroom. After a briefing of “Ag in the Classroom”, we were all put into small groups where we completed one of the elementary classroom activities. My group (well, okay, only one other person besides myself) completed a mapping exercise. We glued wheat grain and soybeans to corresponding counties where the crop is grown on a Minnesota map. Sue challenged each of our groups to brainstorm other educational activities that could be used with each of our activities. There is not doubt the Ag in the Classroom curriculum is valuable. I feel the curriculum needs to be used more extensively in the classroom. Students really need immersion with “Ag in the Classroom” activities. 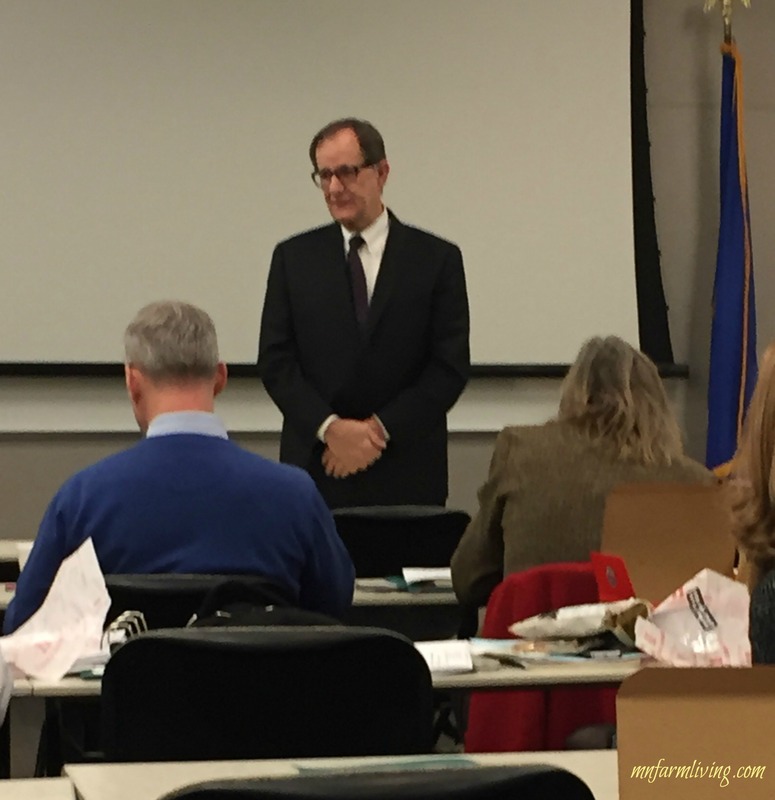 In addition to the Ag in the Classroom, we met with Minnesota Ag Commissioner Dave Frederickson. One of my challenges during Session III was the concurrently held Minnesota Pork Congress held in Minneapolis. Because I felt I needed and wanted to participate in some of the Minnesota Pork Congress activities, I did miss some of Session III. I really disliked having to miss either of these events as I wanted to be in attendance at both. Frustration at it’s finest. Day two of Session III was spent at the Minnesota State Capitol. Farm Bureau president Kevin Paap helped prepare us and gave insights on the state legislature. He reminded us to be mindful–to be open minded–to listen. Great lesson for life in general. The diversity of our group, our speakers and our activities have all helped me be more mindful and deliberately look at different persepctives. Next we were on our way to the State Capitol. I met with both my state representative and senator. Since I already knew both of them prior to my visit, my conversations were very cordial. Both my representative and senator are from my home town. In fact, I met my senator when we both took a college speech class together and my daughter worked at the grocery store my representative owned. Connections. I did sit in on a committee meeting where they were discussing Post Secondary Education options in Minnesota’s high schools. It’s just all so fascinating watching our government work. And just as Kevin Paap told us, government is not supposed to work smooth–there should be conflict–laws should not be easy to change or create. So when we become frustrated with our government, for the most part, it’s okay. I must say, there is a different feeling when you walk through the halls of our state capitol. Maybe it’s the history or the significance and importance of what happens in between the walls or the connectedness we all feel. We are, as you know, all Minnesotans. But one thing I know, it’s a special feeling. We spent some time talking about our Emotional Intelligence. And to be honest, I will probably not do so well with my Emotional Intelligence. Some days I think I am just too set in my ways and probably will find it very difficult to change. I think maybe I would rather help someone else with their emotional intelligence than to work on my own. But I will try. Day three was absolutely fascinating. 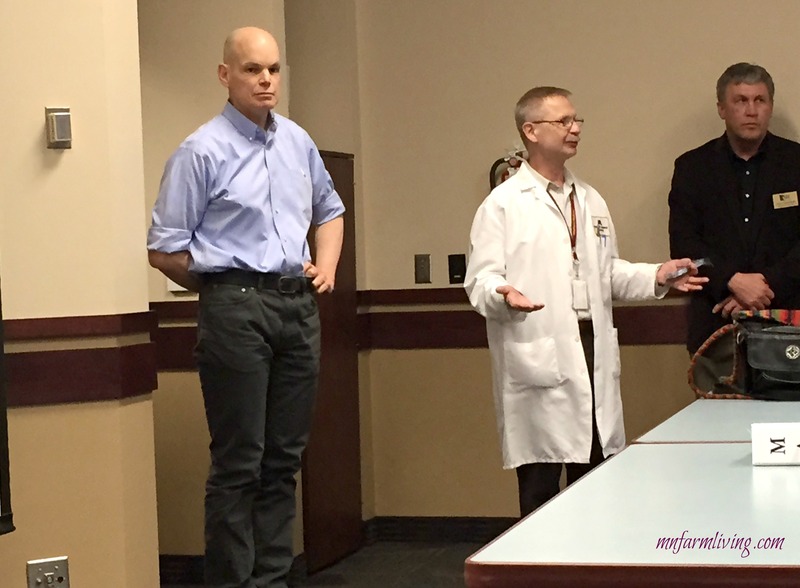 We were at the University of Minnesota St. Paul campus where we listened to Dr. Brian Buhr, Dr. Robert Stupar and Dr. Mark Seely. All of these individuals are highly respected experts in their respective fields. 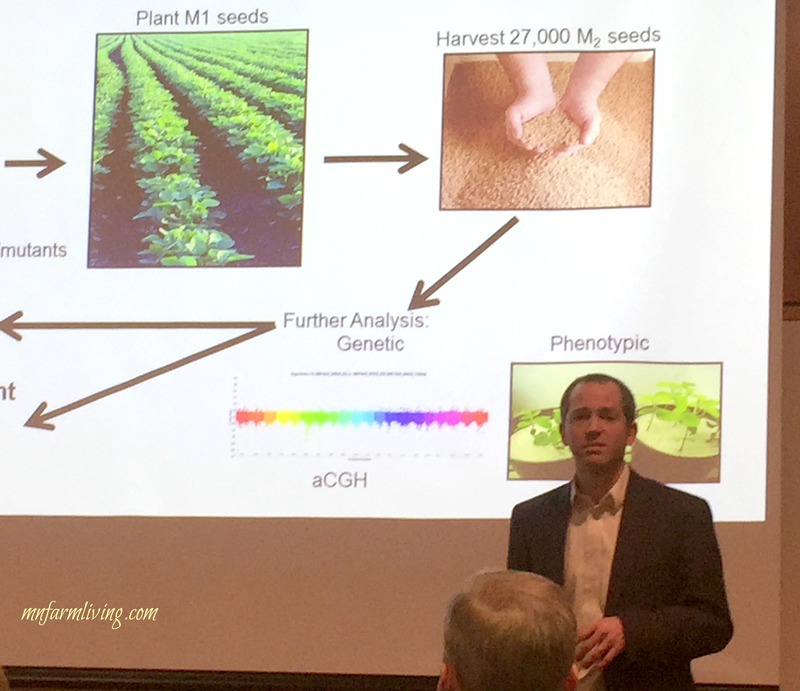 I particularly liked Dr. Stupar’s presentation on the soybean genome and Dr. Seely’s presentation on climate change. Our last stop was the Veterinary Diagnostic Lab, which was equally fascinating. For some it was a little on the gross side with a side of smell. There was no sugar coating here. Animals from dogs to pigs to turkeys to moose were being dissected to find sources of illness or death. Each session keeps getting better. It’s all so hard to explain to people what the MARL experience is like. To start with, it’s ALL HIGH QUALITY experiences, speakers and learning activities. And I am so privileged to be a part of it. Next, on to Washington D.C. in February! Stay tuned!